Soundproofed ventilation - the highest soundproofing in its class. 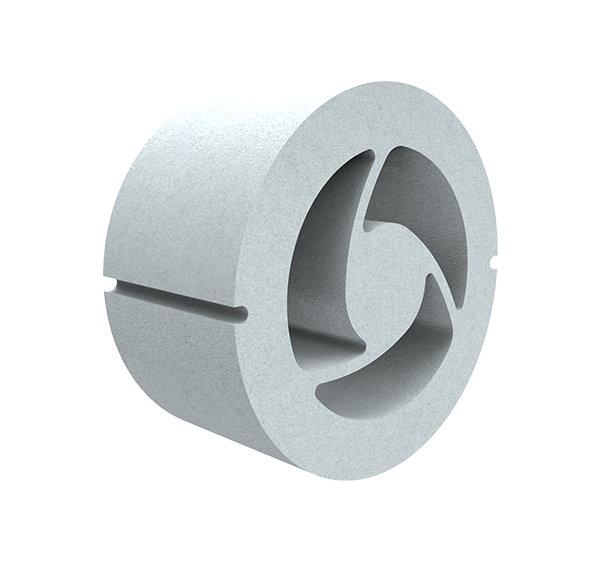 getAir's Fresh air inlet ALD achieves second-to-none soundproofing values. 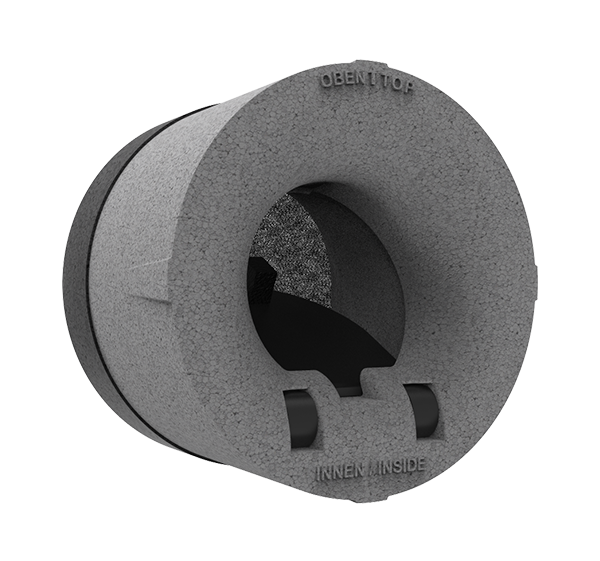 It is suited for installation in buildings with high noise insulation requirements. Its special wind pressure safety device prevents a building cooling down in spells of high wind. Moreover, draughts are avoided through the inside covers, designed to optimise airflow and cut noise. 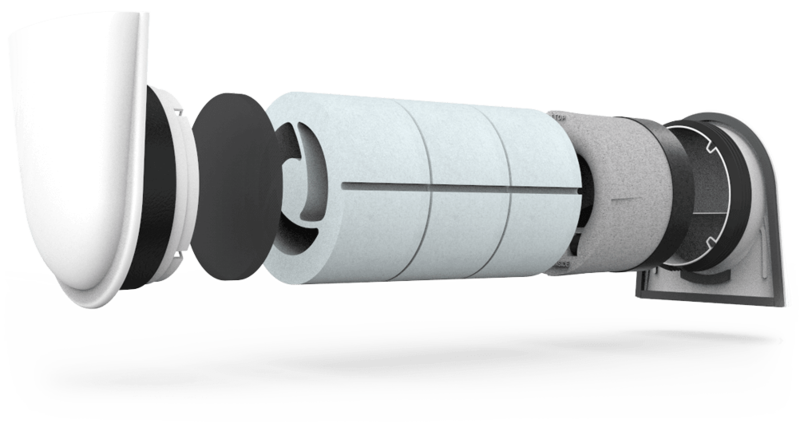 In conjunction with the SmartFan XR ventilation system, the ALD system offers low-cost home ventilation without heat recovery. Should energy-saving requirements increase at a later date, the system can easily be upgraded to include heat recovery. Move the table from left to right to see all informations. The ALD system can be combined with a SmartFan or easyFan building shell set without problem, irrespective of whether a window reveal, cellar or loft solution is used. Upgrading an ALD system to a fan-assisted home ventilation unit with heat recovery, as in the SmartFan, is easy on account of the modular design. Airflow and sound insulation levels can be adapted to individual requirements during installation using the innovative soundproofing element. The soundproofing element consists of a ring with 3 chambers. 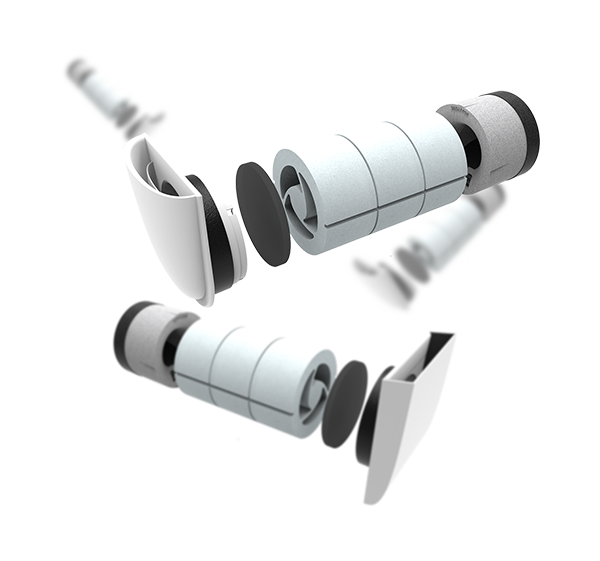 Each chamber can be separately opened, allowing the system to be adapted to individual airflow and soundproofing requirements. To avoid a building cooling down during spells of high wind, the wind pressure safety device features a check flap which automatically closes if the airflow volume becomes too high. A unique feature is the dust filter installed in front of the system and which can be changed separately. 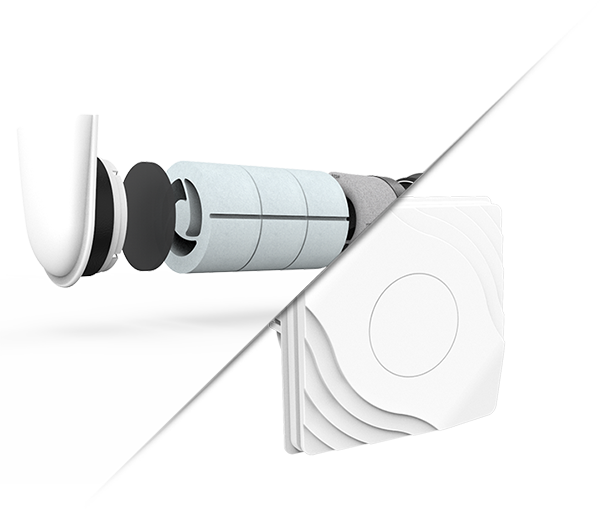 In combination with a SmartFan XR ventilation system for inside wet rooms, the ALD system provides mechanical ventilation, whereby it is important to ensure that the airflow and positioning of the two systems match each other. All calculations for dimensioning the system, dependent on the use cases, are performed pursuant to DIN 1946-6 and DIN 18017-3. When planning the installation of ALD system, please ensure that the systems are positioned in accordance with the cross-ventilation principle. getAir specialists recommend that the same number of ALD systems be installed on the windward and leeward sides of a building, thereby allowing a constant exchange of air in the whole building. When the installation of the ALD systems is properly planned and prepared, it is no problem to upgrade the systems to include heat recovery, as with the SmartFan®. Please note that the ALD systems are dimensioned pursuant to DIN 1946-6 “nominal ventilation”. To facilitate the electrical installation, we recommend making a slit in the installation cylinder beforehand.